The 1905 Copa del Rey Final was the third final of the Copa del Rey, the Spanish football cup competition. The match took place on 18 April 1905 at the Hipódromo, Madrid. The match was contested by Athletic Bilbao and Madrid CF. Madrid CF lifted the trophy for the first time with a 1–0 victory over Athletic Bilbao. The 1906 Copa del Rey Final was the 4th final of the Copa del Rey, the Spanish football cup competition. The match took place on 10 April 1906 at the Hipódromo, Madrid. The match was contested by Athletic Bilbao and Madrid CF. Madrid CF lifted the trophy for the second time with a 4–1 victory over Athletic Bilbao. The 1916 Copa del Rey Final was the 16th final of the Spanish cup competition, the Copa del Rey. The final was played at Camp de la Indústria in Barcelona on May 7, 1916. The match was won by Athletic Bilbao, who beat Madrid FC 4–0. The 1924 Copa del Rey Final was the 24th final of the Spanish cup competition, the Copa del Rey. The final was played at Atotxa Stadium, in San Sebastián, on May 4, 1924. Real Union beat Real Madrid 1–0 and won their third title. The Copa del Generalísimo 1943 Final was the 41st final of the King's Cup. The final was played at Estadio Metropolitano in Madrid, on 20 June 1943, being won by Club Atlético de Bilbao, who beat Real Madrid CF 1-0 after extra time. The Copa del Generalísimo 1946 Final was the 44nd final of the King's Cup. The final was played at Camp Nou in Barcelona, on 9 June 1946, being won by Real Madrid CF, who beat Valencia CF 3-1. The Copa del Generalísimo 1947 Final was the 45th final of the King's Cup. The final was played at Montjuïc in Barcelona, on 22 June 1947, being won by Real Madrid CF, who beat RCD Español 2-0 after extra time. The 1962 European Cup Final was a football match held at the Olympisch Stadion, Amsterdam, on 2 May 1962, that saw Benfica play against Real Madrid. Benfica defeated their opponents 5–3, to win the European Cup for the second successive season. The Copa del Generalísimo 1968 Final was the 66th final of the King's Cup. The final was played at Santiago Bernabéu Stadium in Madrid, on 5 July 1968, being won by FC Barcelona, who beat Real Madrid CF 1-0. The 2005–06 Real Madrid C.F. season was the club's 75th season in La Liga. This article shows statistics of the club's players in the season, and also lists all matches that the club played in the 2005–06 season. Jacinto Francisco Fernández de Quincoces y López de Arbina (17 July 1905 – 10 May 1997) was a Spanish football player and manager, as well as President of the Valencian Pilota Federation. He was a central defender and is regarded as one of the greatest defenders of the pre-war era. He played 25 matches for the Spain national football team from 1928 to 1936, and was part of Spain's 1934 FIFA World Cup team. He was Spain's national coach in 1945, taking charge for two matches. José Quirante Pineda (10 May 1883 in Alicante, Spain – 30 May 1964 in Barcelona, Spain) was a soccer player and manager. He coached Real Madrid during the first Spanish league season. He played for FC Barcelona and Real Madrid. When playing for Real, he did not give up his attachment to Barcelona. He was the first footballer to play for the two rivals.He also coached Unión Sporting Club de Madrid, Sevilla FC, Real Murcia, Hércules CF, Málaga CF, Cádiz CF and Real Betis. Juan Antonio Ipiña Iza (born 23 August 1912 in Ortuella, Biscay; died 7 September 1974) was a Spanish footballer and later manager. He coached Real Madrid CF from April 1952 to May 1953, having played with the club for ten years in the 1940s, and also coached Real Valladolid Sevilla FC and Athletic Bilbao. Real Madrid C.F. is a professional association football club based in Madrid, Spain, which plays in La Liga. This chronological list comprises all those who have held the position of manager of the first team of Real Madrid from 1910, when the first professional manager was appointed, to the present day. Each manager's entry includes his dates of tenure and the club's overall competitive record (in terms of matches won, drawn and lost), honours won and significant achievements while under his care. Caretaker managers are included, where known. As of the start of the 2018–19 season, Real Madrid have had 40 full-time managers. Real Madrid CF is a football club based in Madrid, Spain that competes in La Liga, the most senior football league in Spain. Since its founding, the club has had 18 different presidents. The club is owned by the club-members of Real Madrid CF, and similarly to a limited liability company, they elect the president by a ballot. The president has the responsibility for the overall management of the club, including formally signing contracts with players and staff. In Spain, it is customary for the president to watch the games in which the first-team participates, together with the president from the opposing team. Since its foundation, Real Madrid CF has been owned and operated only by its members (all Spanish) called socios, unlike most European football clubs. Santiago Bernabéu Yeste remains the longest-running president of The Whites (35 years, from 1943 to 1978). In addition, under Bernabéu's presidency the club won the most trophies (32). In July 2000 former Real player Alfredo Di Stéfano was appointed Honorary President of the Club. Real Madrid CF is a Spanish professional association football club based in Madrid. 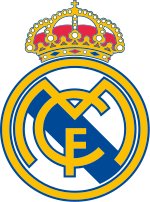 The club was formed in 1902 as Madrid Football 'Club, and played its first competitive match on 13 May 1902, when it entered the semi-final of the Campeonato de Copa de S.M. Alfonso XIII. Real Madrid currently plays in the Spanish La Liga. Real Madrid was one of the founding members of La Liga in 1929, and is one of three clubs, including Barcelona and Athletic Bilbao, never to have been relegated from the league. They have also been involved in European football ever since they became the first Spanish club to enter the European Cup in 1955, except for the 1977–78 and 1996–97 seasons. This list encompasses the major honours won by Real Madrid and records set by the club, their managers and their players. The player records section includes details of the club's leading goalscorers and those who have made most appearances in first-team competitions. It also records notable achievements by Real Madrid players on the international stage, and the highest transfer fees paid and received by the club. The club currently holds the record for the most European Cup / UEFA Champions League triumphs with 13, and the most La Liga titles with 33. Real Madrid is also the most successful club in international titles with 25, more than any team in the world. The club's record appearance maker is Raúl, who made 741 appearances from 1994 to 2010; the club's record goalscorer is Portuguese ace Cristiano Ronaldo, who has 450 goals in all competitions. Real Madrid Club de Fútbol is a football club that plays in La Liga. The club was formed in 1902 as Madrid Football Club, and played its first competitive match on 13 May 1902, when it lost 3–1 in the semi-final of the Campeonato de Copa de S.M. Alfonso XIII against FC Barcelona. Real Madrid played against other local clubs in various regional tournaments disputed from 1902 to 1940. However, in 1929 the club became one of the founding members of La Liga, Spain's first national league. As of 2018, Real is one of only four clubs never to have been relegated from the top level of Spanish football, the others being Athletic Bilbao and Barcelona.From 1902 to 1929 Real won the Copa del Rey five times and the regional championship 15 times. Real Madrid had a successful start in La Liga, finishing second in the competition's first season, and winning the league in 1932 for the first time. In the 1947–48 season, Real Madrid finished eleventh, which remains, as of 2014, the club's lowest finishing position. Real Madrid won La Liga four times and the European Cup five times during the 1950s. However, the most successful period for the club in terms of domestic titles was the 1960s, when Real Madrid won eight league championships. It is also the only Spanish football team to win five consecutive titles, a feat which it has achieved on two occasions (1960–65 and 1985–90).Real Madrid first participated in European competition during the 1954–55 La Liga season, when it played in the Latin Cup. It won its first European title, and the inaugural European Cup, during the 1955–56 season. Real Madrid won the first five editions of the European Cup, and a further eight times, the last of which was in 2018. Its thirteen trophies is the record number of victories by any club. The club won the UEFA Cup during the 1984–85 season and retained the trophy the following year. It won its first double of league championship and Copa in 1962. Real Madrid is the most successful club in UEFA competitions, winning 22.The club has won the La Liga championship 33 times, the Copa del Rey 19 times, the Copa de la Liga once, the Supercopa de España 10 times (including Copa Eva Duarte), the European Cup Thirteen times, the UEFA Cup twice, the European Super Cup four times, the Intercontinental Cup three times and the FIFA Club World Cup twice. The table details the club's achievements in the early regional championships and in all national and international first-team competitions for each completed season since the club's formation in 1902. The club has won at least a trophy for seventeen consecutive seasons (from 1953–54 to 1969–70), a record in Spanish football. Real Madrid Juvenil are the under-19 team of Spanish professional football club Real Madrid. They play in the Group V of the División de Honor Juvenil de Fútbol where their main rivals are Atlético Madrid and Rayo Vallecano. They also participate in the national Copa de Campeones Juvenil and the Copa del Rey Juvenil, qualification for which is dependent on final league group position, and have taken part in the continental UEFA Youth League.